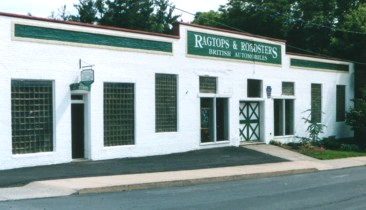 We are located in Perkasie, Bucks County, Pennsylvania, where our shop was the home to an automobile dealership in the 1950's. 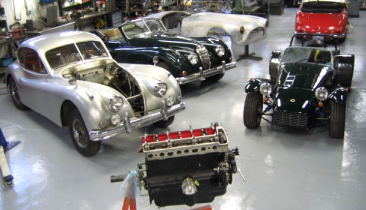 The 6,000 square foot, two-story, secured building houses all the equipment necessary to care for your automobile. The upper level of the shop is bright and roomy with wood-floors and a large door for the entry and exit of vehicles. It is home to our office and lobby, and for assembly and other restoration processes. Servicing, cleaning, and welding are performed on this level in addition to sheet metal and parts fabrication. 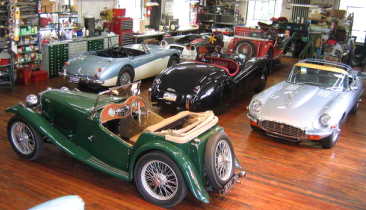 Long and short-term storage of automobiles is available.